Brittany Holiday Apartments, Holiday Apartments, Vacation Apartments, Holiday Apartments Rentals, Vacation Rentals, London Apartments, vacation rentals, vacation homes in Italy, Spain, Greece, Belgium and more. 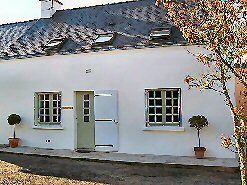 A comfortable, spacious and fully equipped holiday accommodation in a typical Breton gite near the old port town of La Roche Bernard in the Morbihan area of Brittany in France. Ideally situated in a tranquil hamlet for numerous activities near the coast, river Vilaine and La Bretesche golf course. With 3 bedrooms to sleep 5 people.